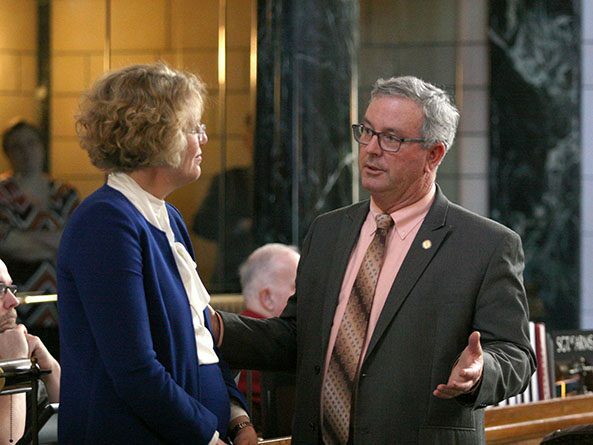 A bill that would expand legal protections for agricultural producers under Nebraska’s 1982 Right to Farm Act cleared the first round of debate April 10 after a successful cloture motion. Under the act, a farm or public grain warehouse—a grain elevator or receptacle in which grain is held for longer than 10 days—cannot be found to be a public or private nuisance if it existed before a change in the land use or occupancy of land in its locality and would not have been a nuisance before the change. As introduced by Sen. Dan Hughes of Venango, LB227 would expand the conditions under which those operations are shielded from nuisance liability. Hughes said the existing law does not protect the state’s agricultural producers from nuisance lawsuits if they expand or change how they operate. He said LB227 is needed to encourage growth in the industry. An Agriculture Committee amendment would have replaced the bill and created a second, independent set of criteria under which a farm or public grain warehouse could not be found to be a nuisance. Hughes introduced an amendment, adopted 36-2, that would replace the committee amendment. It would add two requirements that an operation would need to fulfill to be shielded from nuisance liability. First, the operation must employ “reasonable techniques” to mitigate negative effects on the property of others, such as dust, noise, insects and odors. Second, it must comply with applicable laws and regulations, including any zoning regulations of a local governing body. Under the amendment, after two years following the established date of operation, a farm or public grain warehouse could not be found to be a public or private nuisance. The amendment defines that date as the date on which the farm or public grain warehouse commences operation. If the operation undergoes any subsequent change, including any of the four outlined in the amendment, Hughes said, the date of that change would be considered the established date of operation and the two-year window would reset. Those specified changes are the conversion from one type of farm or public grain warehouse to another; a change in ownership or size of the operation; the enrollment, reduction or cessation of participation of the farm or public grain warehouse in a government program; and the operation’s adoption of new technology. Hughes said the amendment was intended to address concerns raised during floor debate earlier in the week that the bill would deny neighboring landowners a legal remedy if a change in size or type of a farming operation creates a nuisance. 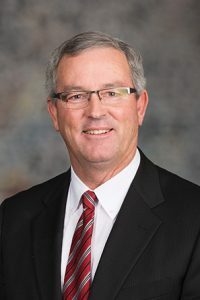 Sen. Steve Halloran of Hastings supported the proposal, saying the expanded protections acknowledge how agricultural operations have grown more concentrated since the existing law was adopted. He said LB227 would allow farms and livestock operations to grow and remain viable, which would keep food prices low. “The real nuisance would be $35 steaks in the grocery store [and] $15 hamburger because we couldn’t produce enough livestock without this methodology that we use today,” Halloran said. Sen. Steve Lathrop of Omaha opposed the bill. He said it would allow an agricultural operation to expand for the purpose of making more money without requiring that producer to compensate a neighbor who cannot enjoy his or her property due to a nuisance created by that expansion. Lathrop and others also expressed concern that the proposed two-year period during which a farming operation would be vulnerable to nuisance lawsuits could close before a nuisance becomes apparent. They also said the amendment does not specify when a conversion takes place or the size of a change that would open the two-year window. After six hours of general file debate over two days, Hughes filed a motion to invoke cloture, or cease debate and vote on the bill. The motion succeeded on a 34-11 vote. Thirty-three votes were needed. Lawmakers then voted 33-4 to adopt the amended committee amendment and 31-7 to advance LB227 to select file.